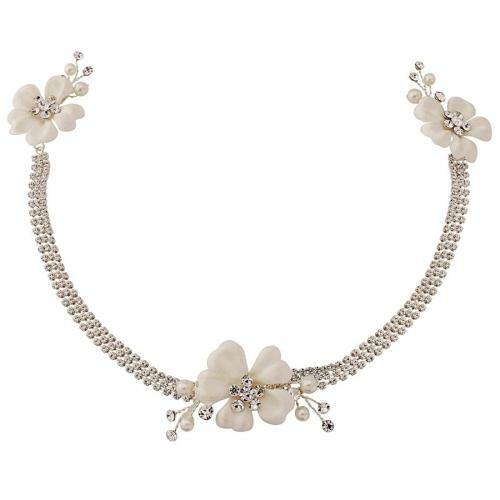 Exquisite ivory fabric flowers and cascading crystals. Fitted with three small crocodile clips for a perfect fit. Full flexible headpiece.